Bayer Leverkusen extended their unbeaten run to six matches after taking a point off Augsburg on Matchday 11. Augsburg and Bayer Leverkusen traded quick-fire second-half goals in an entertaining 1-1 draw at the WWK Arena. Unbeaten in their last five, Leverkusen started on the front foot as Leon Bailey cut inside and made Augsburg goalkeeper Marwin Hitz work from 16 yards. Jonathan Tah headed narrowly over from a fine Julian Brandt cross, but an injury to defender Sven Bender knocked Bayer off their stride. Augsburg seized the momentum, with Michael Gregoritsch going close on a number of occasions. The hosts also had a penalty decision overturned by Video Assist late in the first half. 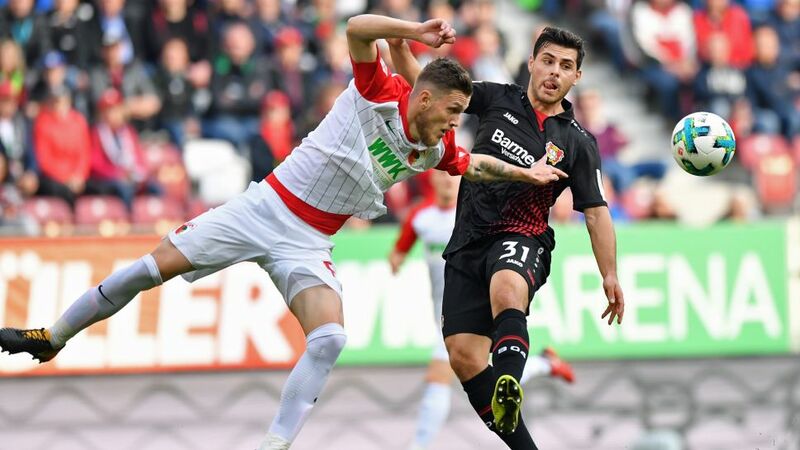 Augsburg fell behind early in the second half as Kevin Volland made the most of a slip from Kevin Danso to slam in his sixth Bundesliga goal of the campaign. Danso redeemed himself less than two minutes later, however, poking in the equaliser after Gregoritsch had headed against the crossbar. Caiuby struck the woodwork and Lars Bender headed into the arms of Hitz, but the sides could not be separated. Augsburg have yet to beat Leverkusen in the Bundesliga.Volland scored with his first shot on goal.Danso's first Bundesliga goal came on his 11th top-flight appearance, courtesy of his sixth shot on goal.Leverkusen have scored at least once in their last 16 matches and have never failed to score under Heiko Herrlich.Leverkusen's Dominik Kohr spent three seasons at Augsburg.Lars Bender made his 250th appearance for Leverkusen. Click here for the Augsburg vs. Leverkusen Match Centre!